The community has been pillar in the construction of LACNIC since its recognition as the Regional Internet Registry for Latin America and the Caribbean in 2002. The constant participation of the community in different participation and dialogue spaces created for the purpose of listening to and learning from each other has led to an open, stable and secure Internet in the region. 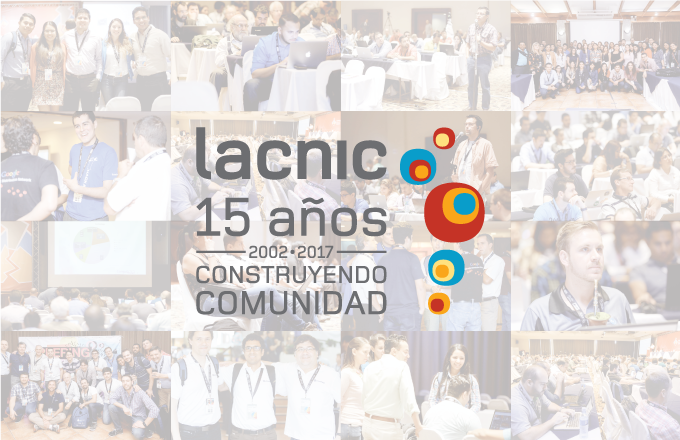 To celebrate its 15th anniversary, LACNIC decided to gather the voices of many who, over the years, have represented and represent multiple and varied interests of the Latin American and Caribbean community. Adriana Ibarra, Adriana Rivero, Bernadette Lewis, Cristine Hoepers, Florencio Utreras, Harmut Glaser, Ida Holz, Jorge Villa, Mariela Rocha, Max Larson, Nicolás Antoniello, Oscar Messano, Ricardo Patara and Sebastián Bellagamba offered their perspectives on the construction of the collaborative Internet model in the region.